At TADHack we’ve had hacks that included Bitcoin since the first TADHack in 2014. Mentioned in the Status sponsorship announcement we have celebs from the Ethereum community win at TADHack, such as Luis from Aragon. David Dias from Protocol Labs is a regular speaker at TADSummit, here are some of his contributions from 2016 and 2017. And we will have lots to share on the decentralized web at TADSummit 2018. Mentioned to me this week, we’ve never really explained why Ethereum matters to TADHack / TADSummit. TADHack is a hackathon that helps people learn about the latest Internet, IT, and Telecoms technologies; and use those technologies to solve problems that matter around the world. Ethereum is the most popular open-source, public, blockchain-based distributed computing platform and operating system for DApps (Decentralized Apps). If you’ve read some of my other work, one of the refrains is, “its all about the services.” and DApps are an important new category of services. Apologies to the experts, but I’m going to give a few simple definitions to help explain some of the terms people will have heard around this topic, and build up to why sponsorship of TADHack by Status is important. Blockchain is a technology. Its an open, distributed ledger that can record transactions between two parties in a verifiable and permanent way. The crucial thing Blockchain does is agree the contents of the ledger without anyone being in charge, and a way of compensating people for helping make that happen. So together we have trust and decentralization of a ledger, a world-first created in 2009. Cryptocurrency is a medium of exchange (type of cash) that uses cryptography to secure financial transactions, control the creation of additional units of the currency, and verify the transfer of assets. It uses Blockchain technology. Bitcoin is a cryptocurrency and payment system. Bitcoin works without a central bank or single administrator. Its a peer-to-peer network, where transactions take place between users directly. Bitcoin is an example of a cryptocurrency, and is based on Blockchain technology. That’s the headline definitions done. I want to focus on what is really exciting and that’s Ethereum and DApps. 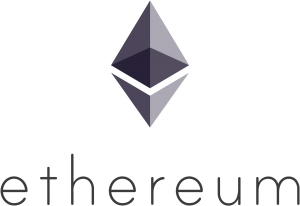 Ethereum went live in 2015 and is the most popular open-source, public, blockchain-based distributed computing platform and operating system. Yes its based on Blockchain technology, yes it is a decentralized ledger, yes it includes a compensation mechanism. BUT the really exciting thing is it was created from the start as a way to run DApps (Decentralized Applications). DApps (definition is still in development, but the concept is clear) is an application that is run by many users on a decentralized network like Ethereum. They are designed to avoid any single point of failure. They typically have tokens to reward users for providing computing power. Decentralized Web (definition is still in development, and the concept is still being refined), often positioned as Web 3, many points/computers connected over the internet not by a common authority, but by a shared intention. Ethereum is an example with the intention of a distributed computing platform and operating system for running DApps. TADHack’s history began with programmable telecoms, but we cover many technologies. Telecoms is the exchange of information over distances by electronic means between two or more parties, and refers to all types of voice, data and video transmission. Its about connecting people and things anywhere and everywhere. The the programmable bit means its controllable through an API by any software. Telecoms has been waiting since the invention of electric telephone in the 1870s for Ethereum, a 145 year wait! The users of telecoms have been battling the centralized / decentralized problem since Strowger, an undertaker, who was motivated to invent an automatic telephone exchange after having difficulties with the local telephone operators, one of whom was the wife of a competitor. This is why the sponsorship of TADHack by Status so important. Status is an open source, Ethereum-based app that gives you the power to chat, transact, and access a revolutionary world of DApps. TADHack can help create DApps that solve problems that matter all around the world. You can see examples of DApps here, quite a few are games, but often new technologies start there and the world changing stuff comes later. Remember those online D&D (Dungeons and Dragons) games in the ‘80s before the internet got going. CrytoFarm: Farmers, delivery trucks, markets and restaurants agree timely smart contracts using USSD/SMS/Voice as the UI to optimize the >70% of food spoilage across the supply chain in emerging markets. Solving trust issues that exacerbate waste, as IVR or SMS or USSD or voice / video actions are recorded on the chain. ETH-Trust: A trust framework for doing business in emerging markets, available to all citizens. Again IVR or SMS or USSD or voice / video actions are recorded on the chain. ETH-Trade: a regional social network that supports trading of skills, experience, time, equipment, etc. Parents can provide extra-schooling to help their child, while trading their skills in the network. SlackerSports: rather than wasting an hour on Facebook in the evening or on weekend, discover others interested in a sport, find and book a nearby field. Have some fun / exercise, make new friends (in the real world), and use idle sports fields. All commitments and payments are recorded on the chain for all to see. We hope through TADHack to create loads of DApps that matter, and help people and organizations around the world realize what Ethereum and Status mean to them. We’re only starting to scratch the surface of what is possible with DApps and Programmable Telecoms. However, we think TADHack Global 2018 will be a groundbreaking event! either at a location near you or remotely.